I don't know about you, but I can hardly wait for warmer weather! So happy daylight savings time has kicked in. I think we all can pretty much agree with that one! 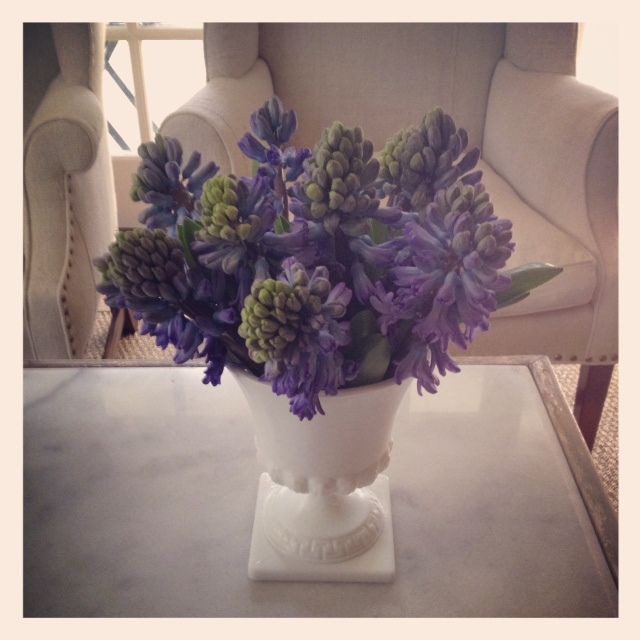 I purchased these gorgeous hyacinths at the flower market and they have me inspired and longing for spring. Thank goodness spring is right around the corner!